Goodwood was established as a small, semi-rural suburb in 1905. It was named after London's world-famous Goodwood Race Course, where plans were to foster a similar horse racing lifestyle in the Cape Town-based suburb. However, while a venue was constructed, concrete plans to turn it into a prestigious racing ground hosting South Africa’s finest thoroughbreds did not materialise. The suburb was officially declared a municipality in 1938 and since then Goodwood has become a highly concentrated, industrialised area. 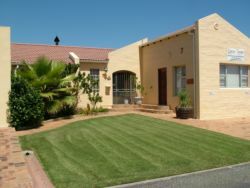 Due to its massive growth, the municipality has extended to incorporate the townships of Elsies River and Monte Vista. This extenuation has resulted in the development of approximately 70 businesses and industries, ranging from steel and construction warehouses to furniture-producing factories and a motor-assembling plant. While Goodwood does not emanate a leafy suburbia, it is in close proximity to areas abound in family-friendly entertainment and activities. Its finest attraction is without a doubt, Grandwest Casino and Entertainment World. This entertainment destination is the largest of its kind in South Africa, offering around-the-clock thrills and boundless fun for the entire family. Travel further afield to Century City and you'll be in the vicinity of Cape Town’s popular theme park, Ratanga Junction. Open during the festive periods and school holidays, there is a thrill to be had by everyone. Holidaymakers looking to learn more about the suburb can do so at the Goodwood History Museum. Here you'll receive an account of its illustrious heritage and rich culture. The museum is a square house designed in a typical 1930's fashion, where two rooms are displayed to the public to depict the style of that time. To make the experience even more authentic, there is even a functioning gramophone playing music in the background. A quick look at our website will give you the information you need to make your choice. You will find reviews and you will also be able to compare prices and find wonderfully affordable accommodation in Goodwood. Are you planning the perfect getaway but have not yet found your ideal Goodwood accommodation? By using our easy website, you can find great accommodation of all types, whether it is a cosy bed and breakfast or a comfortable lodge. We have thousands of easy to find listings for self-catering facilities, holiday homes, guest houses and hotels as well as backpackers, chalets, caravan facilities, villas and apartments, giving you a wide variety of options when it comes to your accommodation in Goodwood. To help you find the right place to stay, we have a number of tools that you can use, including a map. This will help you to pin point exactly where you will be staying and it will show you the accommodation facilities that are closest to where you will be. Regardless of the reason for your visit to Goodwood, we can guarantee that you will find the type of accommodation you are looking for. But reviews for Goodwood accommodation is not the only information you will find. Want to know if your Goodwood accommodation is pet-friendly or allows smoking? All of that information is included on the listings page. You will also be able to find which activities are on offer and the sort of amenities included with each room. All of this information will help you to make an informed decision before you make any payments to, giving you more peace of mind about your choice. 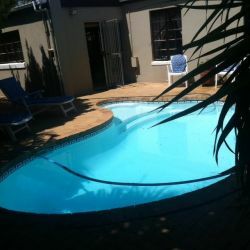 We include all of the contact details of the self-catering accommodation, holiday homes, guest houses and hotels as well as backpackers, chalets, caravan facilities, villas and apartments in Goodwood which are featured on this website, so you also have the option of getting directly in touch with the place. 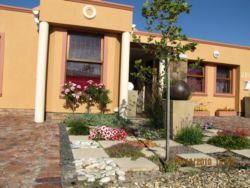 Regardless of where you are staying, we feature Goodwood accommodation in that area of the province. You have options of Goodwood guest houses, lodges and bed and breakfasts, among others, ranging from your more affordable, lower prices to your more luxurious options. So, you are not visiting for a holiday but rather for business and all you need is a place to stay for a night or two? The bed and breakfast options, as well as the lodges, are generally preferred by business people and you will find all types, from your more luxurious lodges to your simple, self-catering bed and breakfast. Each will give you a safe roof over your head while you are in the province. 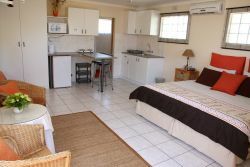 Goodwood accommodation is not only affordable but well situated. If you are doing business in this area, this is a great accommodation choice. Spending more than a few days in the province? Perhaps you are indulging in a tour of the region and you are looking for a few places to stay? 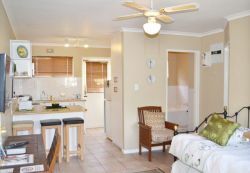 Browsing through our listed self-catering accommodation, holiday homes, guest houses and hotels as well as backpackers, chalets, caravan facilities, villas and apartments in Goodwood will give you all of the information you need to make your selection. And once you have found the ideal place to stay, you can either request a quote or make your booking directly on this website. Sleeping-OUT.co.za is designed to make finding and booking accommodation in Goodwood easier than your traditional methods of sourcing a place to stay! 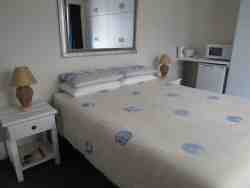 We include some great accommodation special deals in and around Goodwood.